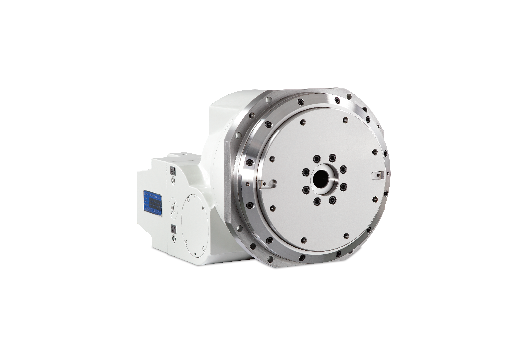 CT-WS Indexing Tables are rotated by a dual lead worm gear driven via a servo motor which provides rapid bi-directional indexing. 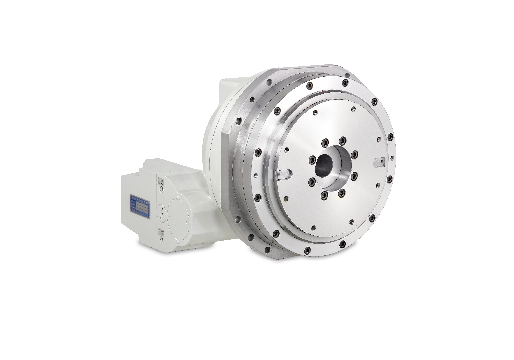 An integrated hydraulically clamped 3 piece Hirth coupling ensures high accuracy and repetitive positioning, plus rigidity for heavy duty machining applications. 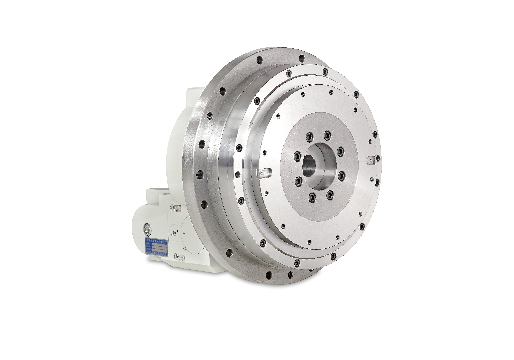 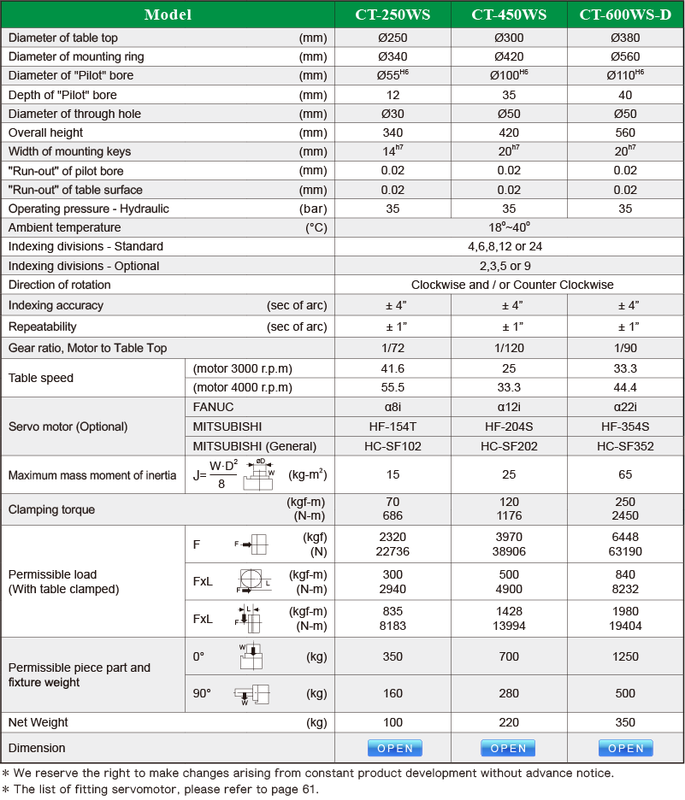 The tables are offered with alternate Hirth couplings in-order to meet various index spacing to suit the application requirements.